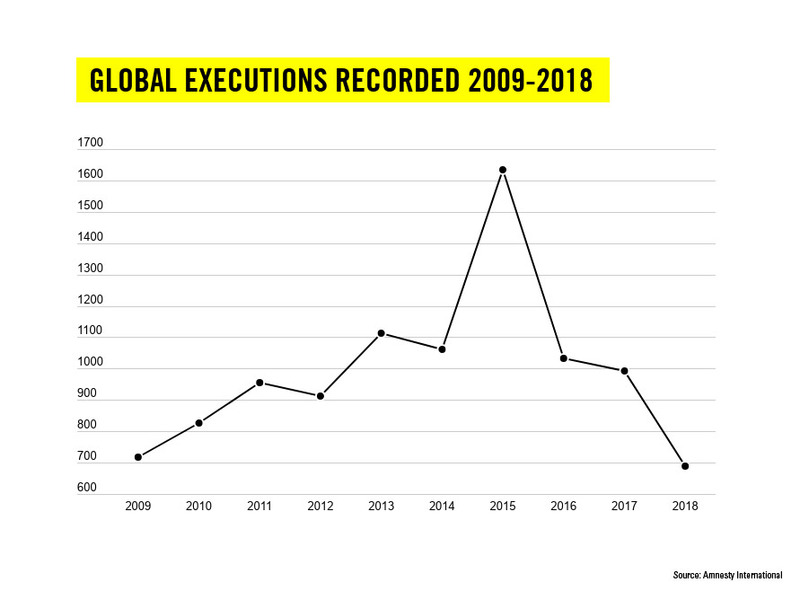 At least 690 people were executed globally in 20 countries in 2018, compared to 993 in the previous year, the organization stated in the report released April 10. The statistics assess the use of the death penalty worldwide except in China, where the number of people executed each year is a state secret. The figures “show that the death penalty is firmly in decline, and that effective steps are being taken across the world to end the use of this cruel and inhuman punishment,” it stated. While “global consensus is building toward ending the use” of the death penalty, “with more than 19,000 people still languishing on death row worldwide, the struggle is far from over,” the organization stated. According to the Amnesty International report, while “thousands of people are sentenced to death and executed each year” in China, 78 percent of all reported executions in 2018 took place in just four countries — Iran, Saudi Arabia, Vietnam and Iraq. At the end of 2018, 106 countries had abolished the death penalty in law for all crimes, and 142 countries had abolished the death penalty in law or practice, the organization stated. However, some countries saw a rise in executions last year, including the United States, Belarus, Japan, Singapore and South Sudan, the organization stated. There were at least 44 executions in the United States in 2018, compared to 41 in 2017. Also, Thailand carried out its first execution since 2009.